Attractive streets where people choose to meet, linger, shop, visit and enjoy. 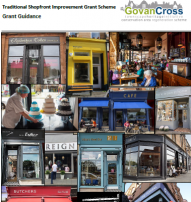 The Traditional Shopfront Improvement Grant Scheme (TSIG) is another important aspect of the THI programme and an incredibly exciting opportunity to really improve the appearance and prosperity of the shops and streets of central Govan. 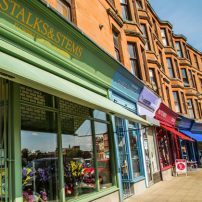 The TSIG Scheme offers grant to shop owners to reinstate the original scale, proportion and details of Govan’s shopfronts – restoring them to their former glory. 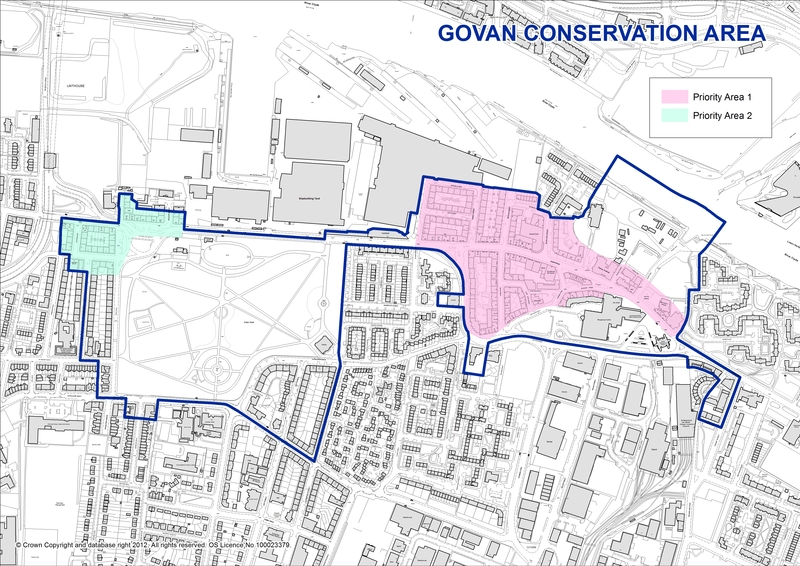 With lots more people expected to be in and around Govan on a daily basis when the new river crossing and housing at Water Row gets underway in 2019, the time has never been better to make the most of Govan’s shopfronts and encourage more residents, businesses and visitors to choose Govan as a place to live, work and visit. 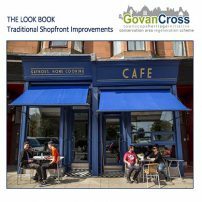 The positive effect of THI funded shopfront improvements can already be seen in Langlands Road and at the Water Row shops and Café 13 at Govan Cross, which together have added cosmopolitan café culture, more local jobs and higher quality goods and services to the town centre. As well as full-scale shopfront reinstatements, smaller improvements that use a creative approach to signage, decoration and window displays will also be encouraged through the TSIG Scheme, as small changes can make a big difference to local street quality and wellbeing. 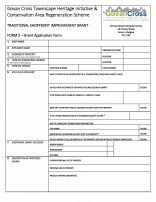 Following the launch of the TSIG scheme in 2017, the THI team have received an overwhelmingly positive response to the call for Registrations of Interest, with 40 shopkeepers signing up. Due to this high volume of interest, the TSIG scheme will be delivered over a number of phases. 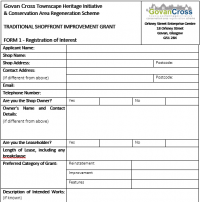 Twenty six shops have been invited to submit full grant applications during 2018 for Phase 1, with works likely to start on site in Spring 2019. Phase 2 will be open to applicants in 2019 – date to be announced! 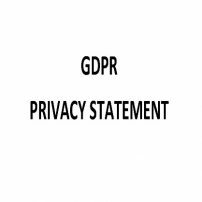 Timescale: October 2017 – March 2021. Funders: Heritage Lottery Fund, Historic Environment Scotland, Glasgow City Council, Private Owner contributions.